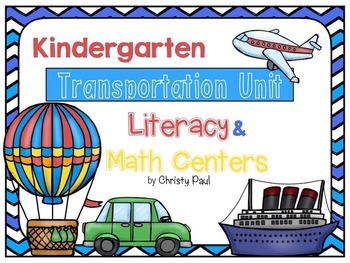 This transportation unit contains ready made Literacy and Math centers that can be used along side any kindergarten curriculum to enhance your centers or small groups. Consonant Blends Trains with worksheet. Transportation Sentence Scramble with worksheet. Fast or Slow!-A fun student transportation book to work on high frequency and color words. Flying High Addition with worksheet. Bigger Number Cars with worksheet. Number Bond Blast Off with worksheet. Your students will love these fun and interactive centers! Enjoy!